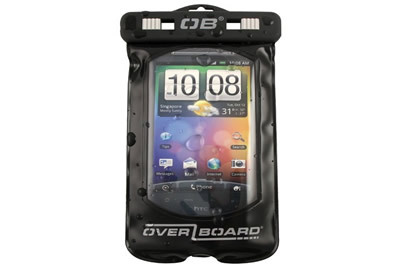 The Overboard waterproof phone case offers 100% waterproof protection for your smart phone. Constructed from environmentally friendly soft TPU material this waterproof phone case seals tight with our patented "Slide Seal System". Browse, chat, snap or film away while your smart phone is safely sealed in its waterproof phone case. Moreover thanks to a welded headphone jack, you can listen to music and enjoy your hands-free functions too. This waterproof phone case with "lenzflex" back window allows you to take clear pictures underwater with your camera phone. 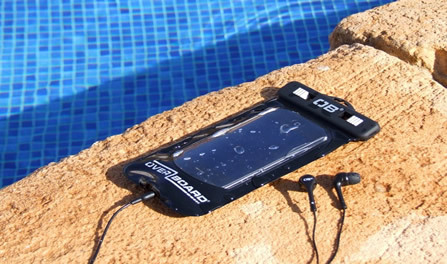 This waterproof phone case is guaranteed submersible to 19 feet/ 6 meters. 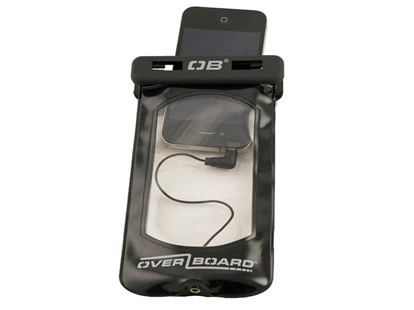 Perfect for all iPhones, Smart and Touch screen phones.